DNR compliance issues, age and a general need for revitalization of the facility were the catalysts for this project. After securing USDA Rural Development funding to assist the Village in covering the costs of the project, Kunkel Engineering implemented its facility upgrade plan. This included the addition of a head works building for preliminary treatment and an oxidation ditch and final clarifier, components integral to the final treatment process. 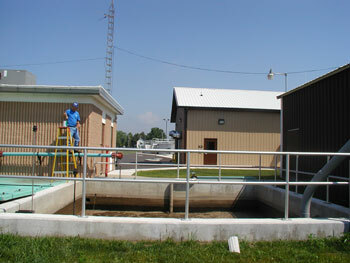 The project also provided for upgrades of control systems for both the wastewater treatment facility and the village water system.